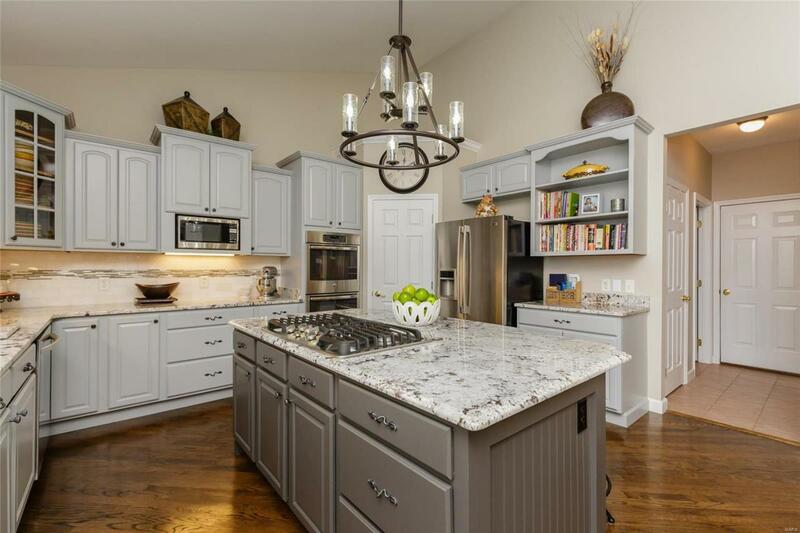 Will you be the lucky owner of this Custom home on Bear Creek Golf Course? 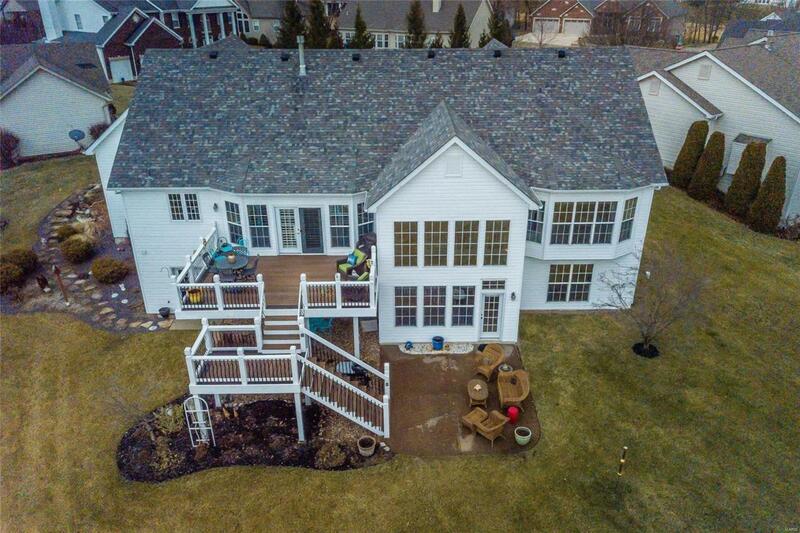 The home's setting is perfect for enjoyment of the yard w the windows facing East over the golf course. The exterior walls are 6" thick w a 9' pour in the LL & Architectural Drama on the ML. The 3 (possibly 4) bedroom home has been updated to today's look. 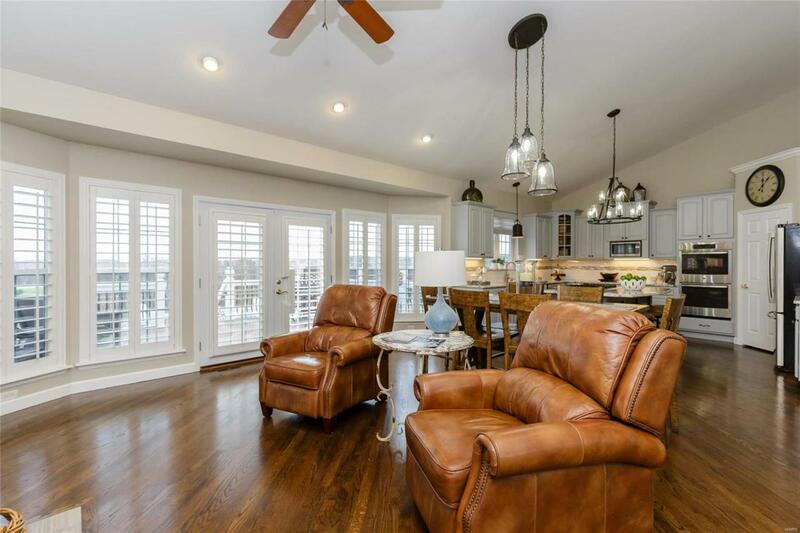 Custom built, the open floor plan has had a remodel of flooring, cabinets, kitchen island, Expensive Granite, backsplash, lighting, painting, decking, powder room renno, plantation shutters,window shades. The third bay of the garage is 30' deep for storage/ boat or workshop. A lawn storage room was included in the LL. Thousand of dollars have been spent in the .41 acre yard, large enough for pool. One very particular owner has maintained this home since construction. 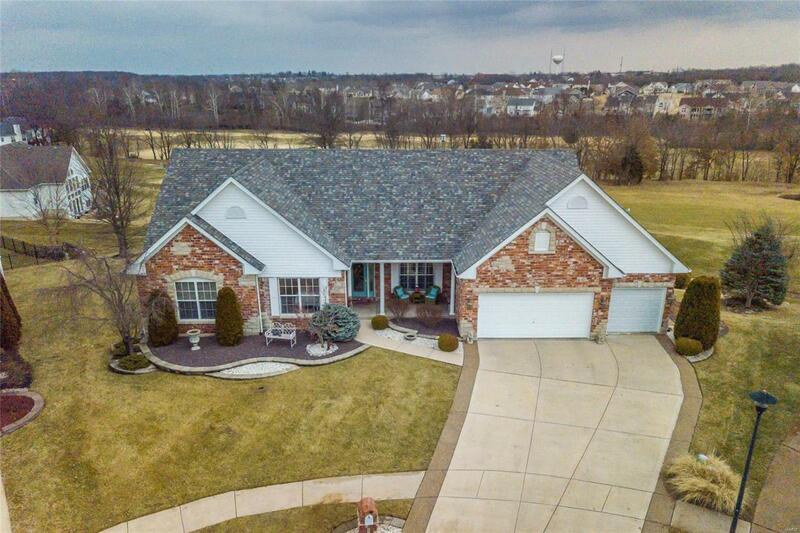 The home is nestled in a quaint cul-de-sac across from clubhouse, it is 1.3 miles from dining, shopping, medical needs, major highways &in Wentzville Schools. Enjoy the photos for more details.